Have a pimple and don’t know how to get rid of it? There are tons of different product recommendations out there — tea tree oil, toothpaste, apple cider vinegar, lemon juice — that all promise to clear up your skin in no time. But some of these treatments can actually do more harm than good when it comes to fighting acne. 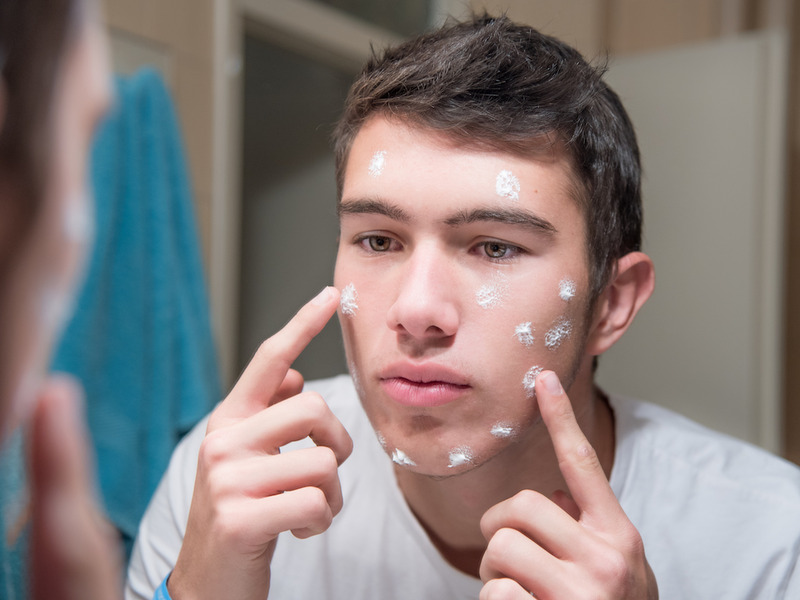 Using certain products can irritate your skin or even make the zit worse, so it’s important to know what’s safe to use and what you should be staying away from. INSIDER spoke to board-certified dermatologists to find out which nine things you should never use to treat your blemishes — no matter how tempting it may be. Your fingers shouldn’t be touching your pimple. If you feel like you absolutely need a pimple popped, go see a dermatologist, Birnbaum said. They will perform the extraction safely and quickly. Essential oils won’t do any wonders for your skin. Essential oils may be known for their healing properties, but they’re not the best choice for healing a breakout, Tennessee-based dermatologist Carley Fowler told INSIDER. „Essential oils are just that: oils,“ she said. „Oils plug pores and can worsen acne. They can also cause allergic reactions.“ Fowler added that even using tea tree oil (a popular acne hack) can irritate your skin and worsen your blemishes. When it comes to treating your skin, it’s better to stick to dermatologist-approved products, she said. Toothpaste will do more harm than good. It’s one of the oldest tricks in the books: Put some toothpaste on your zit, and it will be dried up by the morning. But Susan Bard, a New York-based dermatologist, told INSIDER that using toothpaste on your blemish can end up making things worse. „It can cause an irritation or allergic contact dermatitis,“ she said. Allergic contact dermatitis is an allergic reaction to a product that usually results in a red, itchy rash. To avoid all that, Bard recommended using an over-the-counter acne spot treatment. „But apply a tiny bit no more than once or twice a day. More can lead to skin breakdown, ultimately increasing healing time,“ she added.